You can complete your Green Works membership application right here online. After you complete the form below, you’ll be given the option to also pay your dues online via PayPal. You’ll also be able to add portfolio pictures for your profile page. This is the title of your directory listing. Select the category or categories which describe your company's primary business. May we publish your email and website in the Membership Directory and Annual Report? May we publish your email and website on the VNLA website for public access? May we contact you by email regarding VNLA/horticulture related news and events? 3. Faculty and staff of educational, research, or government institutions with activities related to the horticultural industry. 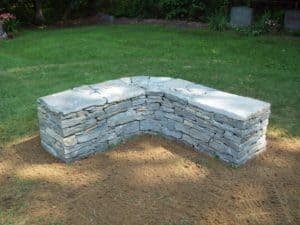 Any active member 62 years or older, who has retired from their principal place of business in Vermont and was engaged in growing, designing, selling, distributing, installing and/or maintaining plants and landscape related products and services. Retired active members, current in dues, are eligible to vote or hold office in the Association. Please check to indicate your agreement to abide by our Code of Ethics - Article X. If you prefer to join by mail, you can become a new member by downloading this application: VNLA/Green Works 2019 Membership Application! Information about a firm’s dues level is never disclosed to the public or other VNLA members. Associate Member – $165.00 Annual Fee: Any individual or organization engaged in the production or sales of allied horticultural supplies and equipment. Examples of allied products are machinery and equipment, products used in plant production, trade magazines, insurance firms, and manufacturers of hard goods for the landscape industry. (or) 2. 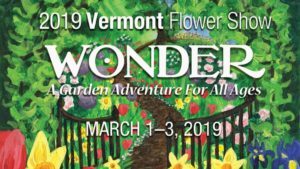 Any individual or organization with a principal place of business outside the State of Vermont and engaged in growing, designing, selling, distributing, installing and/or maintaining plants and landscape related products and services. (or) 3. Faculty and staff of educational, research, or government institutions with activities related to the horticultural industry. (or) 4. Previously Active members who have retired. Retired Membership $50.00 Annual Fee: Any active member 62 years or older, who has retired from their principal place of business in Vermont and was engaged in growing, designing, selling, distributing, installing and/or maintaining plants and landscape related products and services. Retired active members, current in dues, are eligible to vote or hold office in the Association. Student Membership – $30.00 Annual Fee: Any student actively pursuing a degree in the science of horticulture or landscape design and development.